Bill is Pastor of Adult Discipleship at Dublin Baptist Church. 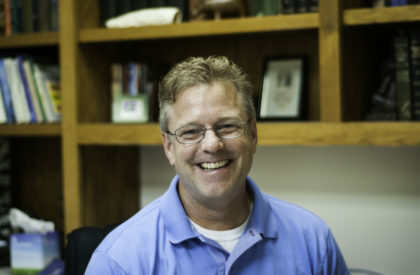 He is a graduate of Furman University, The University of Tennessee, and Southwestern Baptist Theological Seminary. Bill’s thrill in ministry is to see God at work in people’s lives. His desire is to help meet the spiritual needs of people in his community by connecting with them, encouraging them in ministry, and engaging them in the study of God's Word. He is husband to a blonde Bible teacher named Anita and proud dad to four adult children: Price, Mary Allyson, Virginia, and Annabelle. Bill enjoys riding a bicycle, going on walks with his wife, hearing about his kids’ latest adventures and experimenting with smoked jerky recipes, hot salsa, and anything on the grill.